Ahwatukee Property Management, Ahwatukee Property Managers, Ahwatukee, AZ Property Management Companies. 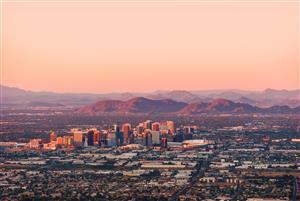 Located within Phoenix, Ahwatukee is bordered by South Mountain Park, Chandler, Tempe and the Gila River Indian Community. This village joined Phoenix in the 1980s, but it still retains an atmosphere that is distinctly different from the rest of the city. Part of the reason for this is because of its isolation. The rest of Phoenix is separated from Ahwatukee by South Mountain Park and South Mountain. According to legend, this area was originally settled in 1921 by Dr. and Mrs. W.V.B. Ames. After their death, the 2,000-acre property was donated to St. Luke's Hospital. During the 1970s, the land was bought and developed by the Presley Development Property. Since then , it has turned into a modern community with restaurants, shops and parks. Each year, this area receives just 6 inches of rainfall. It boasts of mild winters and hot summers. Residents using Ahwatukee property management can find homes surrounded by recreational options and natural settings. Because of its closeness to the South Mountain Park, Ahwatukee is home to many cycling and hiking trails. Residents can check out hiking trails at Telegraph Pass, South Mountain Park, Beverly Canyon and Pima Canyon. Cycling options can be found along many of the local roadways like the Desert Foothills Parkway and Pecos Road. For mountain biking, cyclists can bead to South Mountain Park for easy to difficult trails. Plus, the village is home to three golf courses and an active volleyball community. To experience some of the area's best restaurants, residents only have to head down the street. For excellent Italian cuisine and seafood, stop by Trattoria D'Amico. The Original Burrito Factory is a local favorite for Mexican, Southwestern and vegetarian cuisine. For Asian fare, check out Sushi Ken.